ABC7 News reporter Sergio Quintana has been following a team of relief workers since last week who are in Nepal to provide aid for Nepalese affected by the disaster. KATHMANDU, Nepal (KGO) -- Nepal was hit with yet another earthquake on Tuesday, the second powerful quake in the area in 17 days. This second quake was a magnitude-7.3 followed by a dozen large aftershocks. 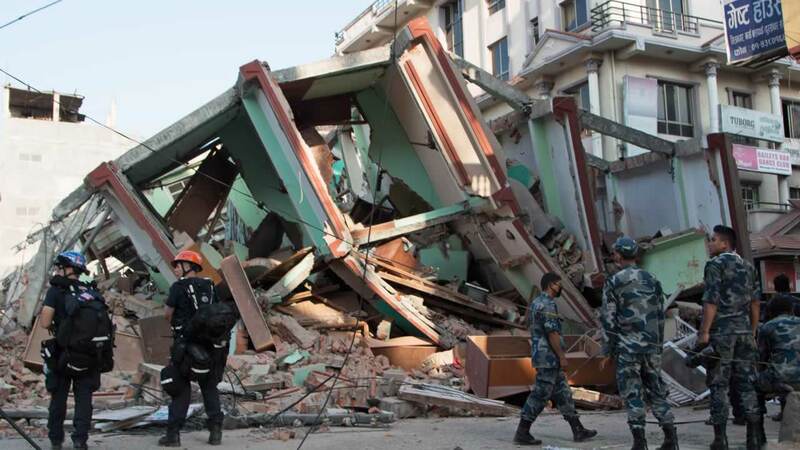 Nepal's Home Ministry says that at least 42 people have died and over 1,000 were injured. Rescue teams continue to dig through debris to find survivors. The international response to the two Nepal earthquakes is clear when you land at Kathmandu Airport. The organizer of this mission is Anil Pandey, who is with Oakland-based Motherland Nepal. The four men traveling with him are with the Community and Disaster Response Team from Sebastopol. ABC7 News reporter Sergio Quintana walks through the streets of Kathmandu, Nepal with Oakland-based Motherland Nepal's Anil Pandey on Monday, May 11, 2015. Each has volunteered their time and expertise to be in Nepal for nearly a month. They are among the dozens of teams from 15 countries around the world who are still arriving to help. Part of this mission is to deliver donations collected from around the Bay Area. "We brought 20 boxes, 20 packets. So there's medical stuff, blankets, tents and some clothes," Pandey said. Some of those items are given away immediately at the airport and some supplies will go with the team. "We are just looking to see what extra stuff is in this aid box that might be different than from what we have," CDRT team leader Troy Clemons said. "We're looking for wound care. Because I believe that's what we're going to be doing the most," CDRT member Kadyn Schumann said. Most of these volunteers have never traveled outside of the U.S. The drive from the airport is a quick introduction to the busy capital city. 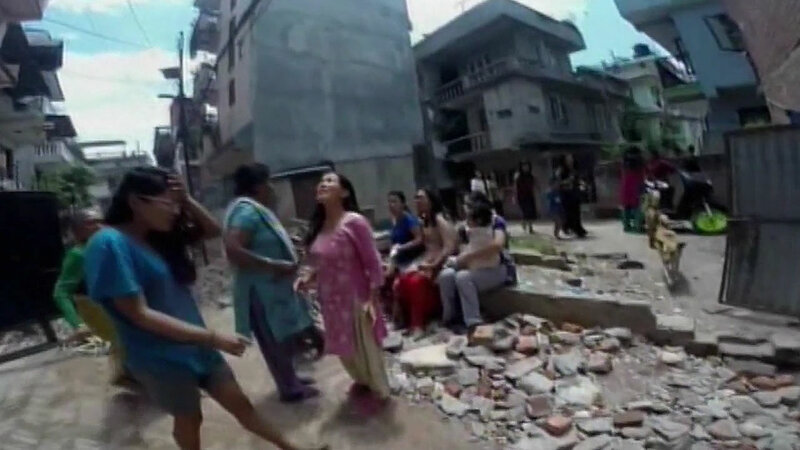 ABC7 News reporter Sergio Quintana traveled to Kathmandu, Nepal and saw the destruction firsthand. The destruction is extensive, as thousands continue to live in tents - either because they have no home anymore or they're afraid it will collapse from continuing aftershocks. When ABC7 News first interviewed Pandey in El Cerrito, he told us about where his family set up tents after the quake. "This is where my land is, right here. Empty. Oh, this is where the tents are," Pandey said. His relatives only recently moved back into their homes. "It wasn't nice in the tents. We didn't have things. And then it started raining. When it started raining, the tents couldn't take the water off of us. It was all inside and we had to struggle to stay there," his niece Sunishma Pandey explained. A short trip through Kathmandu is a shock because so much is gone. The destruction is everywhere. But the Nepal government is actually asking international aid groups to move on from the city. That's the aim of this Bay Area group. They will be heading into villages in the Himalayas, to a district that was one of the worst hit. Click here to donate to Motherland Nepal and click here to support Nepal disaster relief by the CDRT.